Just saw it on a distant landfill about a half-mile south of Disposal Road. Too far away to photograph (and the light is awful), but the point is that it is still here. Our Last Walk of 2014 Is Next Tuesday! 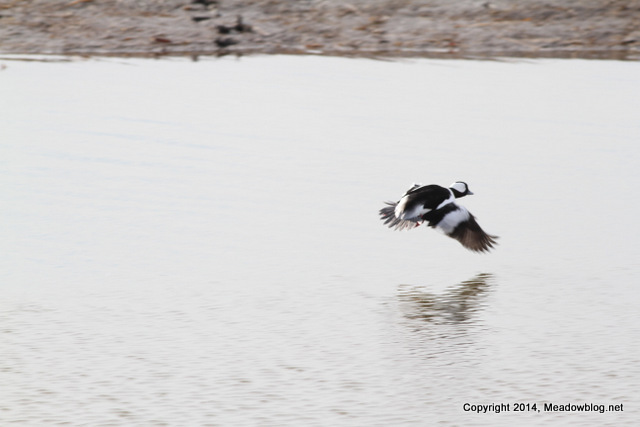 Bufflehead photographed from Transco Trail. We are culminating a year of wonderful walks next Tuesday at 10 a.m. with a guided walk at DeKorte Park and nearby Disposal Road. Lots of ducks and raptors, we hope. 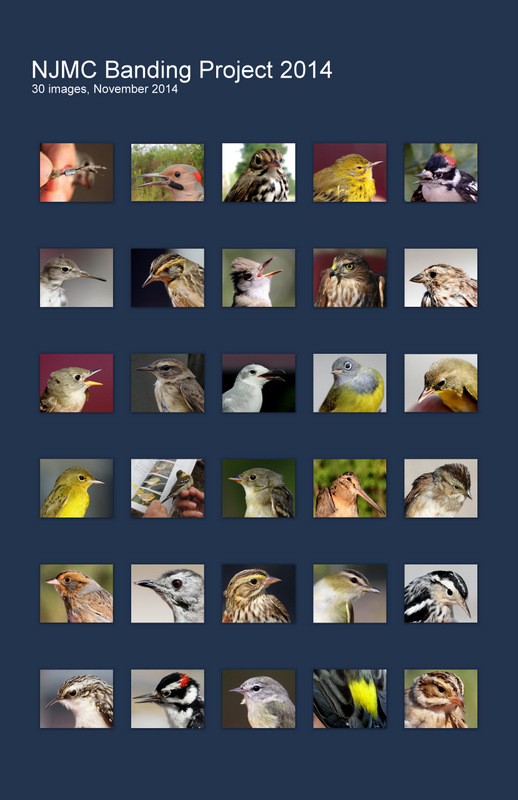 We put together this collage of some of the wonderful birds banded this fall by Mike Newhouse and his fab band of bird-banders. Some have been Teaser subjects in the past few months. Others are new. Some are easy to ID. Some are difficult. How many can you ID? Top three responders win a free copy of the bird-banding poster or a Tom Yezerski “Meadowlands” poster.